The iPad event of Apple did bring out not just the new iPad but many things along with it. One of them being the new Apple TV, new version of the iOS 5, which is the iOS 5.1 update, and along with that, they came out with the new version of the iTunes, the iTunes 10.6 version. One wouldn’t see much changes in the new version, as it was updated just to make things easier for the advancements that we see in the compatible devices. iTunes 10.6 adds the ability to play 1080p HD movies and TV shows from the iTunes Store. This wasn’t available earlier, but Apple (even the users) didn’t think much on how they were going to watch the 1080p videos if they don’t have a high-end device that would be able to play the 1080p videos. Nevertheless this update was needed, as many who use the iMac and the Macbook Pro would have wished to have the iTunes 1080p playing compatibility since a long time. 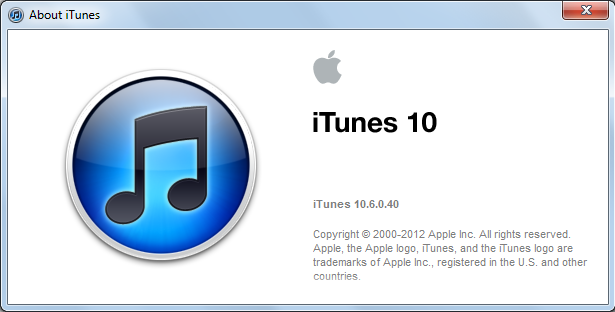 Here is how you can download the iTunes 10.6 version. You can update the iTunes to the latest version through the Apple software update which does the job very easily, where you don’t need to do anything else than open the software and it would automatically look for the updates for all the Apple internal softwares. It would prompt you about the update, and you need to click on Install for the update to happen. The iTunes 10.6 is even needed for those who are trying to jailbreak iOS 5.1 on their devices. I use itunes for over 5 years and still not control it completely. I duplicated the music files.